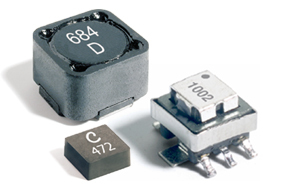 Coilcraft CPS offers a wide variety of power inductors, current sensors and planar transformers for critical product applications. With high grade materials and testing, Coilcraft CPS power magnetics are excellent choices for military, aerospace and medical power circuitry. Contact us for more details about planar transformers. Search for a power inductor that meets your design requirements with our Inductor Finder.